First-time parents, the Smiths didn’t know what to expect when they entered the labor and delivery unit in 2010. They snapped a photo of their last moments as a family of two and waited for Noah’s arrival. But when Noah was born the room suddenly fell silent. The doctors exchanged glances, gave Rick a quick look at his son and rushed Noah out of the room. After an anxious, four-hour wait, a doctor delivered the news that changed their lives forever: Noah was born with Down syndrome. Up and down the halls of the hospital, Rick could hear families celebrating new lives coming into the world. Things were different for him. “In my mind, I already mapped out my imaginary child’s future – from what he’d look like to where he would go to college. Down syndrome forced me to grieve the loss of my imaginary child, and entrust Noah to God. The Smiths adjusted to life with a newborn, balancing Noah’s frequent visits to the doctor and physical therapy. Initially, they wondered if their family might seem different from others. But the Smiths also learned just how atypical the world thinks Down syndrome is. 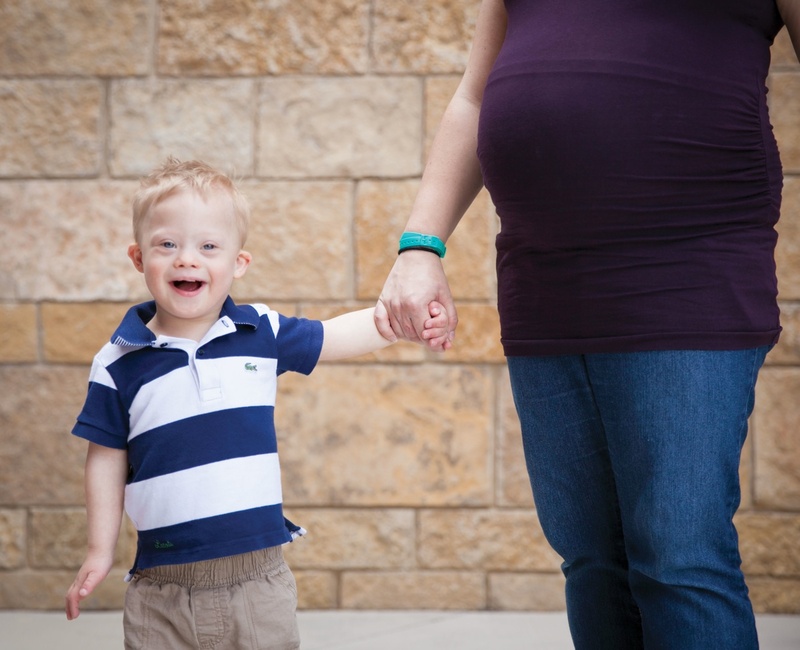 Nine out of ten babies are aborted following the prenatal diagnosis of Down syndrome, making a mother’s womb the most dangerous place on earth for a child like Noah. That shocking statistic moved Abbie and Rick to start a blog, noahsdad.com, to share their story. What began as an effort to bring hope to families who have received a Down syndrome diagnosis has turned into a global, online community reaching millions of people a month. In 2013, when the Smiths learned they were expecting their second child, that’s when the questions began. Are you doing prenatal testing? Will your next baby have Down syndrome? The answers remind Rick and Abbie how much God has taught them through parenting Noah. A couple of weeks ago, the Smiths gave birth to their second son, Jaxten. Noah loves his role as big brother, and Rick and Abbie are thankful for another opportunity to rely on God to meet the needs of their growing family. March 21, is World Down Syndrome Day (children with Down syndrome have three copies of their 21st chromosome). On this week’s episode of Real Truth. Real Quick., we will answer the question: “Is it ok to abort your child if prenatal testing revels they may be born with a special need.” The Smiths also will appear on a special bonus interview with Todd airing on March 21. Download the Real Truth. Real Quick., app on iPhone / Android. The post I Wouldn’t Change A Single Chromosome appeared first on Watermark Community Church Blog.